For the weary heart ….. come sit and talk to the Master. Jesus is He who sustains us. Life will bring us cloudy days, turbulent winds and foggy outlooks that will have us to think that we cannot go beyond what we see out of fear. I know all too well this feeling. I too, must trust the Lord with the unknown. You and I cannot allow our souls to be rocked with fear and anxiety but be filled with truth, belief and faith in our Lord who says that he will not leave us nor forsake us. Take hold of His hand and allow his peace to come over you. Pray and seek Him for all its worth. Encourage yourself in the Lord. Speak praises unto the Father until the roof comes down. Remember that the enemy wants nothing more than to choke you out with fear. Fear that will immobilize you to not pray to the Father. Let this not be so. God is greater than the enemy. The victory has already been won! Get up and shout with a voice of triumph….Hallelujah! Keep hope and your heart in the hands of Jesus. He loves you enough to meet you right where you are. Invite Him to come sit and talk with you. You won’t be disappointed. It’s time to refresh your soul. Blessings and encouragement from my heart to yours. 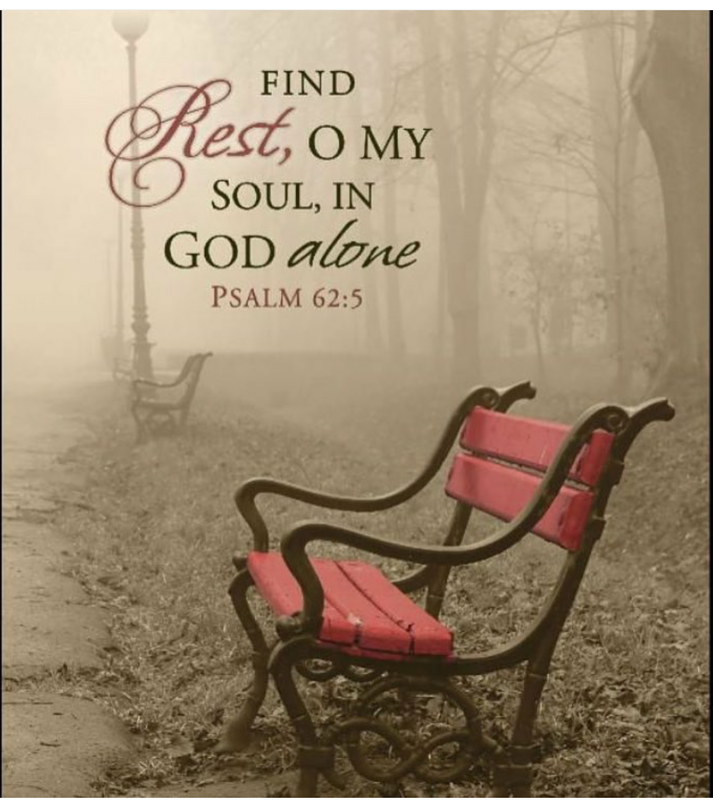 5 Find rest, O my soul, in God alone;my hope comes from him. 6 He alone is my rock and my salvation; he is my fortress, I will not be shaken. 7 My salvation and my honor depend on God; he is my mighty rock, my refuge.